Dandruff and a dry scalp are both scalp conditions. These two conditions are easily confused. 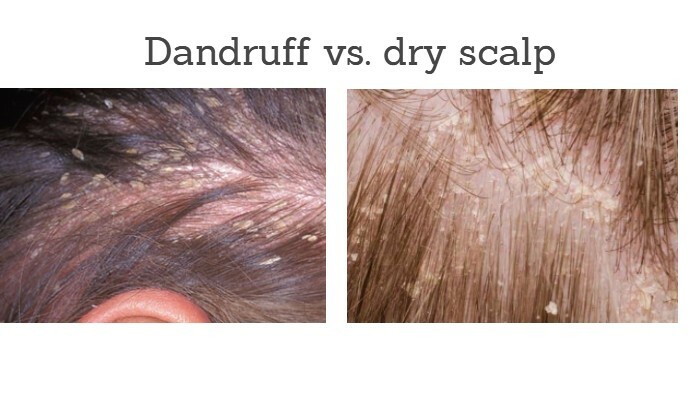 Most people who have a dry flaking scalp confuse it for dandruff. But what is the difference? You need to clearly get the differences since you may be treating the wrong condition. This article covers the differences and any similarities the two may have. Is it dandruff or a dry scalp? You will need to first identify the causes of each, the signs that come with both, available treatment options, home remedies etc. What is a dry scalp? Dandruff refers to small white flakes that arise from the uppermost layer of your scalp and are very evident. The two conditions result from too much oil. Dr Francesca Fusco, scalp and hair dermatologist, defines dandruff as a condition where patches of the scalp and flakes are found on your scalp. Oily skin. 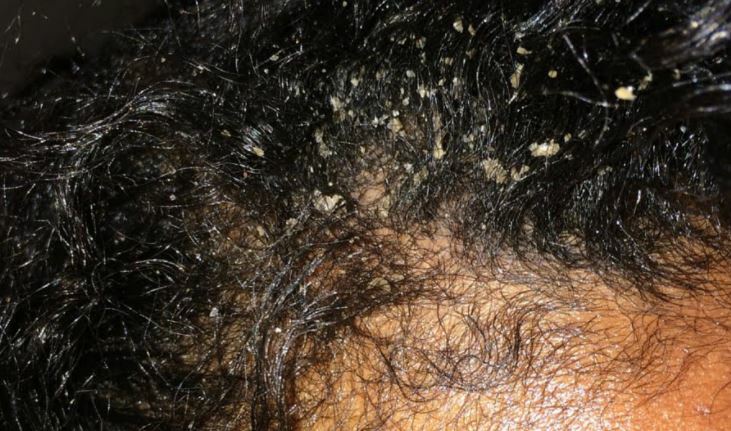 This is the most frequent cause of dandruff. Yeast-like-fungus. Commonly referred to as malassezia, this fungus lives on the scalp. For some people, it irritates the scalp and causes growth of more skin cells leading to formation of dandruff. Jessica, a Los Angeles dermatologist explains that dandruff is caused by overgrowth of a harmless yeast. She further explains that these yeast feed on dead skin cells and excess oil on the scalp leading to shedding of flakes. Poor nutrition. Your diet is likely to affect how your scalp reacts. If the food you eat each day does not contain sufficient nutrients, you are likely to develop dandruff. Improper use of shampoo. The type of shampoo you use or the way you wash your hair contributes to the skin conditions that your scalp develops. When you do not wash your scalp well, you allow for skin cells and oil build up on your scalp which leads to formation of dandruff. If anyone in your family has a history of dandruff, you will most likely develop dandruffs too. It is therefore important to find out if it runs in your family so that you protect yourself early enough. Some hair products can cause an itchy scalp and even lead to flaking and dandruff. On the other hand, a dry scalp refers to a condition where your scalp has lost a lot of moisture and may lead to flakiness. Founder of John Masters Organics, John Masters, confirms that a dry scalp is because of loss of moisture. Weather changes. When it’s suddenly too cold or too hot, you are likely to experience loss of moisture from your scalp. The foods you take each day affect how much moisture is on your scalp. If you feed on dry foods, your body stays dehydrated and you thus experience a dry scalp. Too much of sugary foods contribute to a dry scalp as well. Inappropriate hair products. The products you use for your hair may do more harm than good. If you realize a certain hair product leaves your scalp dry, you are advised to get rid of it. Too much shampooing. Shampooing your hair is a great idea but using too much of the shampoo for your hair leaves your scalp dry. Despite the main differences discussed below, there are some common causes of dandruff and dry scalp. Such causes include nutrition or rather your diet and the hair products you use. Since the reasons may be similar you will therefore need to look at the symptoms to differentiate the two. The two scalp conditions may have similar causes, but the differences are as follows in terms of symptoms. We have also included pictures below to distinguish the two. Can lead to an itchy scalp A dry scalp easily gets irritated and will therefore be itchy. Greasy and yellow-white color due to an oily skin. Not greasy, and the flakes may appear whitish and thick. A red scaly scalp is a common symptom of dandruff. Red, irritated scalp due to scratching and inflammation. Foul scalp odor due to fungal activity. No odor caused by a dry skin on the head. From the above symptoms, you realize that there are some similarities. Both dandruff and dry scalp are characterized by an itchy scalp. They also have flakes which can be differentiated in terms of size. Here are pictures to help distinguish the two scalp problems. Differences appear in this picture. Sometimes, dandruffs are so irritating that you will have to see your doctor for the necessary medication. Do not treat the dandruff without a doctor’s direction if the scalp is bleeding. There are some treatment options available that you could try. Selenium sulfide. Also referred to as Selsun Blue, it reduces fungus on your scalp hence preventing death of so many skin cells. Before using a shampoo containing selenium sulfide, seek your doctor’s advice especially if you have gray or blond hair. This is because, it is likely to change your hair color. Ketoconazole. It kills the fungus that leads to formation of dandruff. You may also find it under the name You can access it over the counter. Pyrithione zinc. It is an antifungal drug that kills the fungus on your scalp. This way, they help control dandruff formation on your scalp. It is gentle and can be used every day. Dandruff shampoos and treatment. If the causes of the dry scalp are similar to those of dandruff, dandruff shampoos will work to restore the necessary scalp moisture. Over the counter shampoos such as ketoconazole, Pyrithione, and selenium oxide. Use these shampoos twice a week. Vitamin supplements. You may be having a dry scalp due to nutritional deficiencies. Deficiency of vitamins such as vitamins B6 and B12 are mostly responsible for the dryness of your scalp. Supplements such as zinc, flaxseed oil and selenium is advisable. Since some of the causes of dandruff and dry scalp are the same, there are similarities in the treatments as well. For instance, some dandruff shampoos can be used to treat a dry scalp. However, always read the instruction on the shampoos before use. While seeking medical advice from a specialist is advisable, you should only consider doing so after trying home remedies. You will realize that your kitchen is so rich that it can do away with the scalp conditions in no time. Below are different home remedies for each of the conditions; dandruff and dry scalp. While coconut oil will nourish your hair, lemon juice is helpful in treating dandruff without causing undesirable effects. Baking soda is effective in getting rid of dandruff in your scalp provided you follow the listed guidelines. Dr. Mehmet praises Apple cider vinegar as a treatment for dandruff. This is explained by the apple cider vinegar acidity property. This acidity changes the scalp PH and hence it restrains growth of yeast. Rinse your hair well. This should be done two times a week. Another way to get rid of dandruff is by use of tea tree oil. Take your tea tree oil and pour a few drops into your scalp. Ordinary table salt is abrasive and hence is good for scrubbing dandruff flakes. Garlic has antimicrobial properties which are effective in getting rid of the bacteria that causes dandruff. After about five minutes, rinse off using your shampoo. Where the dandruff is at an extreme case, you can use an alcohol based mouthwash. This mouthwash has antifungal properties which prevent growth of yeast that causes dandruff. Like dandruff, dry scalp can also be treated using home remedies and hence reducing the expense of seeking medication. Most of the home remedies are similar. Some of such different remedies are discussed below. Chances are that your dry scalp is caused by dehydration. In this case, all you need is to take water more frequently to keep your body hydrated. Although water may not directly rescue your dry scalp, it sustains your body moisture especially at times of unexpected temperature changes which may drain your body of moisture. This mixture is effective in moisturizing your scalp. It works best when used at least once a week consistently. To get rid of your dry scalp, try bananas. A banana paste will keep your scalp healthier, bring an end formation of flakes and possibility of inflammation. For a great paste, mash your potatoes. Both dandruff and dry scalp can be treated using home remedies. There are common remedies already discussed above such as; Apple cider vinegar, tea tree shampoo, lemon juice, and baking soda.